ID: 49 ~ Source: University Archives Photograph Collection, UA 8. ~ Creator: College of William and Mary. 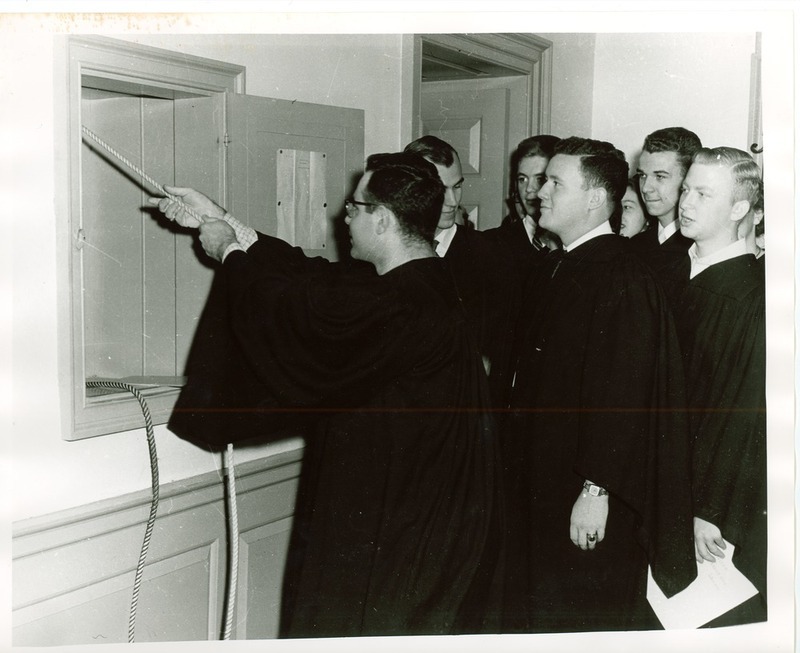 Seniors from the class of 1954 ringing the bell in Wren Building Cupola, a tradition that continues today on the last day of classes every semester.